Applcants have Graduate / BCA / B. Tech / MCA / M.sc or equivalent from a recognized Institute for Vigyan Prasar Recruitment 2019. 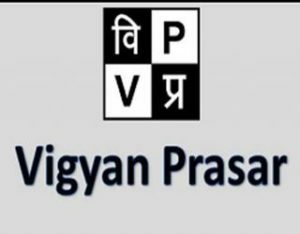 Elgble & Interested candidates can Download Notification From Official website page at www.vigyanprasar.gov.in Vigyan Prasar Recruitment 2019. Applcants send their hard copies of the signed application Filled along with photocopies of ID proof, Proof of Date of Birth, Educational Certificates (Mark-Sheets/Degree Certificate), Caste and attested copies by post. Envelope must be superscribed with by post only.